In the beginning of this year, I made a vow (not a resolution because those fail) to workout more and get more in shape. Along with that came the Beachbody program PiYo (review coming soon!) and I wanted a yoga mat to save my carpet in my living room. I had heard of Aurorae in the past, so they are the first place I went when I was considering purchasing. the mat just lays on the back and you snap up the straps and pull them tight to hold the mat secure. 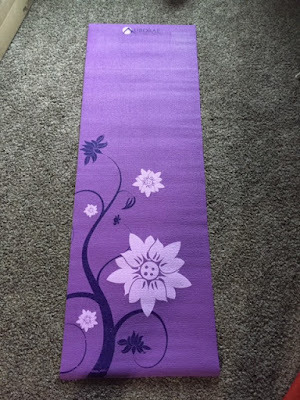 I'm in LOVE with the Yoga Mat. It stays in place and doesn't slide on my carpet, my feet/hands don't slide on it either. The pattern is right in the material so I don't see it picking/fading off any time soon. The colors are so bright and vibrant and I know if I did yoga out of the house I'd get TONS of compliments. The sling/carrier is great too. It works really well and is a great way for me to store my mat so my boys don't constantly unroll it. The straps hold the mat tightly in place so it doesn't slide around or fall out. And I love the colors of this as well. It has 3 other color schemes it comes in too. 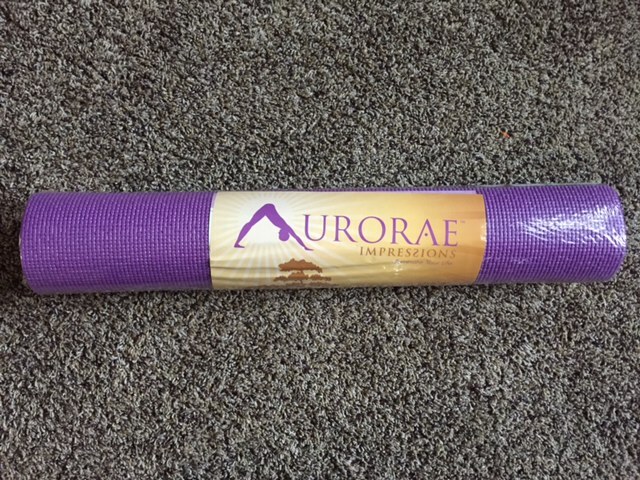 Aurora Yoga also has towels, apparel, footwear and more. Price: The Mat is $39.95 on Amazon currently and the sling is $19.95. Overall: ***** loving these so far! Can't wait to keep using them. 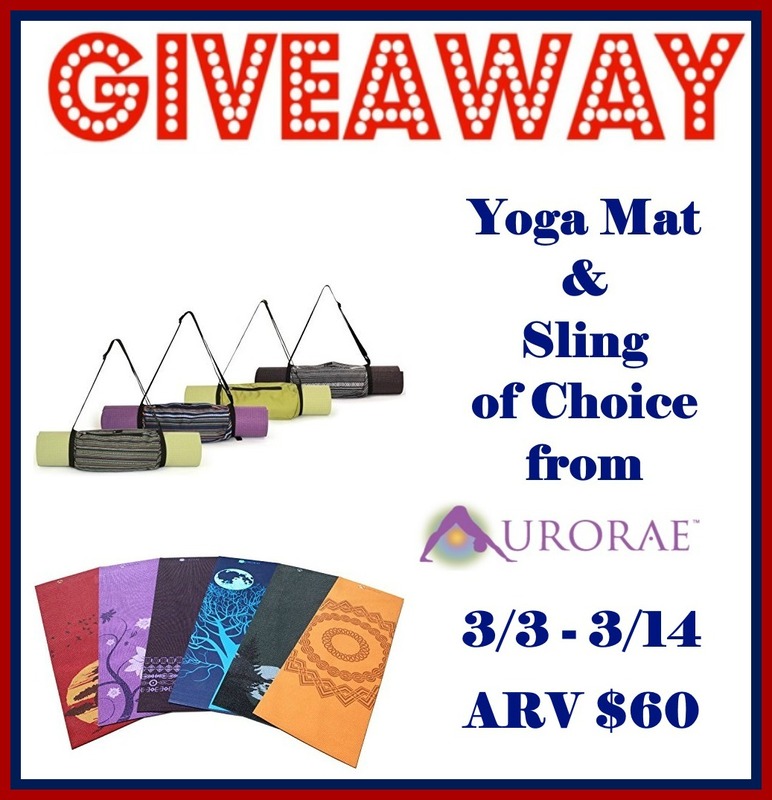 ONE winner is going to get a Mat and Sling of Choice! I might choose the Aurorae Northern Lights Yoga Mat in Energy and the Aurorae Yoga Mat Sling/Carrier in Black Multi. I like Midnight Moon mat and Black Multi sling. 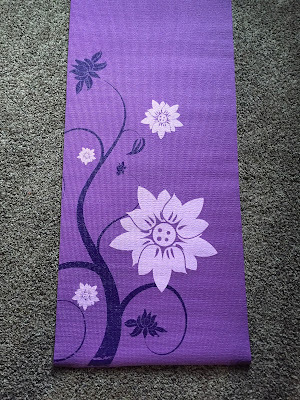 I like the milti sling and the iris bloom mat! Moon mat. Lots to choose from. I would choose the sunset map with the black multi sling. I like the Eternity mat and the Black/White sling. I like the purple "Energy" mat and the purple sling/mat carrier. I guess I like purple!! 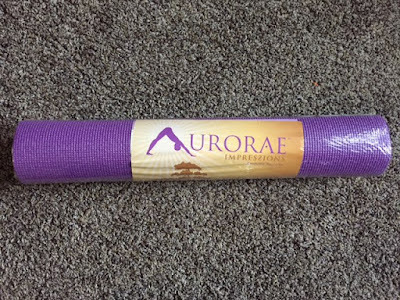 I would choose the Aurora Northern Lights in Sunset Mat and the Purple Sling. I like the navy multi sling and the crown yoga mat.